As a company with over 15 years experience in organising corporate events and entertainment you will be sure to enjoy an array of games, leadership development programmes and icebreakers that have been specially designed to motivate and inspire your workforce. 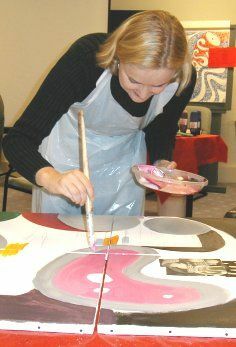 The art workshops we offer include the mosaic challenge, culture sculpture, designer ascot hat and masterpiece. Indoor and outdoor events can be organised according to your requirements, and our professional team made up of well organised and friendly staff will be on hand to ensure that you will want to come back for more at the end of the day. 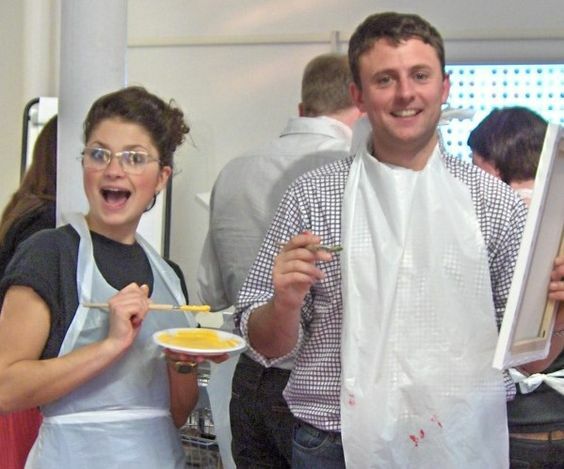 Whatever your needs, from organisational to individual development, we have corporate team building days and events that will challenge any employee or business. We will provide an exciting and relevant mix of quality programmes that can be undertaken in the evening, indoors or outdoors, the aim of which is to add value to all clients’ organisational needs. 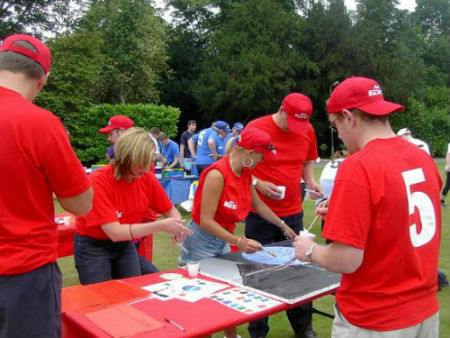 Events can be specially tailored with different aims in mind, for example our corporate challenge days are designed to boost employee motivation. Events can also be put on that can break the ice or break up the monotony of a conference meeting. Mosaic is a simple but very effective art form and we have created a fantastic challenge that gets your team working together. This imaginative and creative event gives individuals the chance to unleash their hidden talents in a motivational and fun environment. 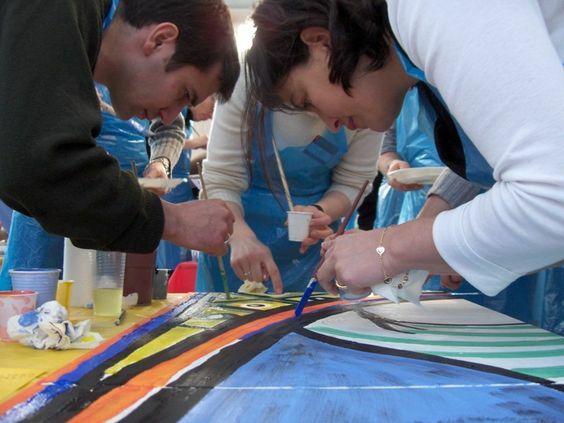 This is a challenging workshop that gives participants the opportunity to express their creative side. Sculpture is not just about using clay it also involves sculpture using the mod-roc techniques, paper sculpture and mixed media. There is lots of scope for creativity. Art tutors will demonstrate and explain the various techniques to create a sculpture. Next participants will decide which medium and style they want to use and begin their own project. Projects can take from one hour to three hours. Sculpture subjects are based around business messages and themes and teams will brainstorm to come up with their own plan of action. Design and create a unique and stylish Ascot Hat that could dazzle the crowds at the biggest horserace event of the year. The Designer Ascot Hat workshop is a great opportunity for the creative design skills of the team to come to the fore, as well as encouraging the delegates to interact and become acquainted with their colleagues. This is a perfect start to a team day and the hats can be worn with pride for the rest of the event. The whole group will create a giant size masterpiece. This is an amazing event and the message is clear. Teams not only paint but also collect information, blue prints and paints to help them in their quest to complete the painting. The final result is always breathtaking and teams are amazed at what they have achieved. We’ve even had tears of joy! I have had some great feedback and everybody had an excellent time.